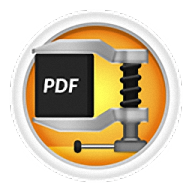 Manage and control PDF file size with this cost-effective PDF compressor. Looking for a handy software utility to reduce the size of large PDF files? Give PDF Compressor V3 a shot. This best PDF reducer is designed for resizing large PDF document and optimize the texts and images it contains. Make it easy to share and save space on computer by shrinking it as much as possible. It is time to make your large PDF files smaller. No more headaches by compressing and optimizing PDF files. 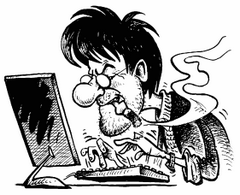 It is not efficient to transfer large PDF files between team members. Shrink them before transferring and improve productivity. Optimized PDF files will be more suitable and easier for online browsing. Easy for saving disk space. Reduce the size of PDF files and free space greatly. Buying an extra hard drive is unnecessary. Easy for sharing via Email. No need to worry about the size limitation of e-mail attachments. Compress large PDF files to less than 100Kb. Manage and control the size of PDFs with high efficiency. Feel free to manage the PDF compression process and decide the size of your PDFs. Removing all images from PDFs will be the greatest way to reduce the size of PDFs significantly. Control the resolution and images quality from 0 to 100 by using a simple trackbar control. For shrinking PDFs further, it is possible to remove unnecessary contents. Support converting PDF files to GrayScale and decrease PDF files size significantly. It will be faster while printing. Remove useless objects and export your documents as linearized PDFs for fast web viewing with our reliable compression engine. You can import any number of files into the PDF compressor program and compress them all in one operation. Experience high quality PDF compression process. With our smartest compression engine, PDF Compressor V3 supports adjusting the resolution of images included in PDFs. We can compress images using “CompressImages” method to decrease image size while keep the quality as high as possible. Furthermore, we offers seamless PDF compression technology to decrease the PDF file size by eliminating useless and unnecessary elements. The PDFs will shrink further if you have tweak the option to remove annotations, attachments, bookmarks as well as unused objects, unused streams and unembed fonts. If it happened that you are required to convert a PDF from RGB to Grayscale for printing faster. Congratulations, PDF Compressor V3 will be your first choice. This PDF compression program enables you to remove all color from images embedded in PDFs. Only a few steps are need to convert color images to black and white. Import your PDF files into the smart compressor. Select “Settings” to open a new dialog and then choose “Grayscale” tab. Check the “Convert PDFs from RGB to Grayscale” box and apply this option by clicking “OK”. Start compression progress and the resized PDF files will be exported to the destination folder.